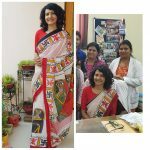 #100sari pact,wear sari 100 times.Thanks to this site, I loved to put my sari photos here. When i was working and sari was my official dress i never thought of taking my photos of me in saris and also never counted my saris .My friends used to say that i don’t repeat my sari in the season. i am grateful that this pact made me remember all my saris and memorable stories associated with them. My 100th sari is gift from my brother and sister in law on Rakhi day.They know i love saris and they remember what pattern i don’t have. 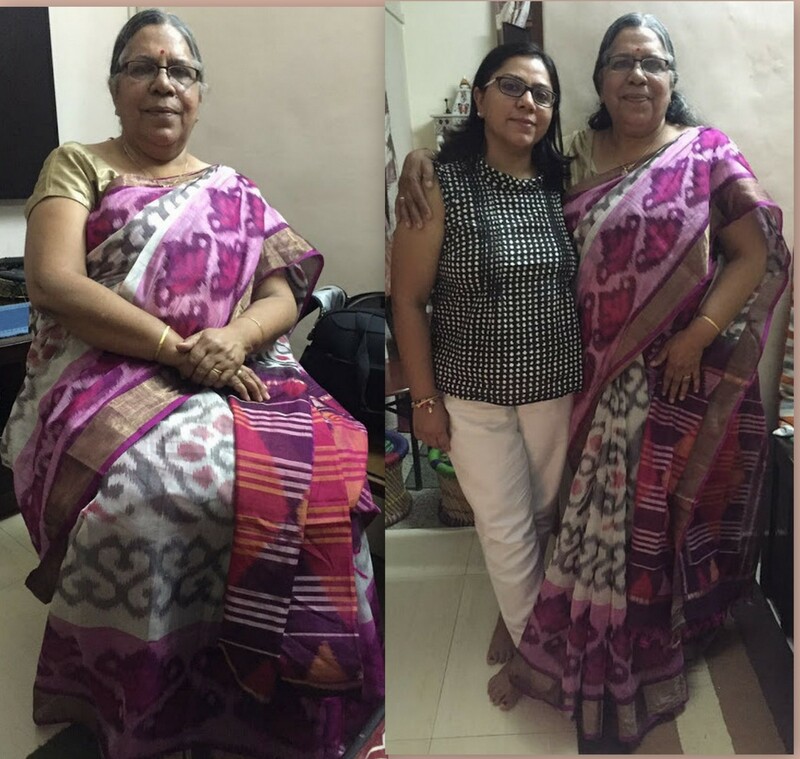 This time it was EKKAT Chandari silk sari.I started my journey of 100 sari on 15th Nov 15 and over on 20th Aug 2016.Thanks friends i loved to put my sari pictures here and share on face book.I eagerly read stories of other saris. So dear friends lets save sari and wear more saris. It is possible to pack a large number in a bag because they fold flat all my foregin friends used to be anevious of me because I wore new sari every day. Abroad they admired the colours and textures of our saries.